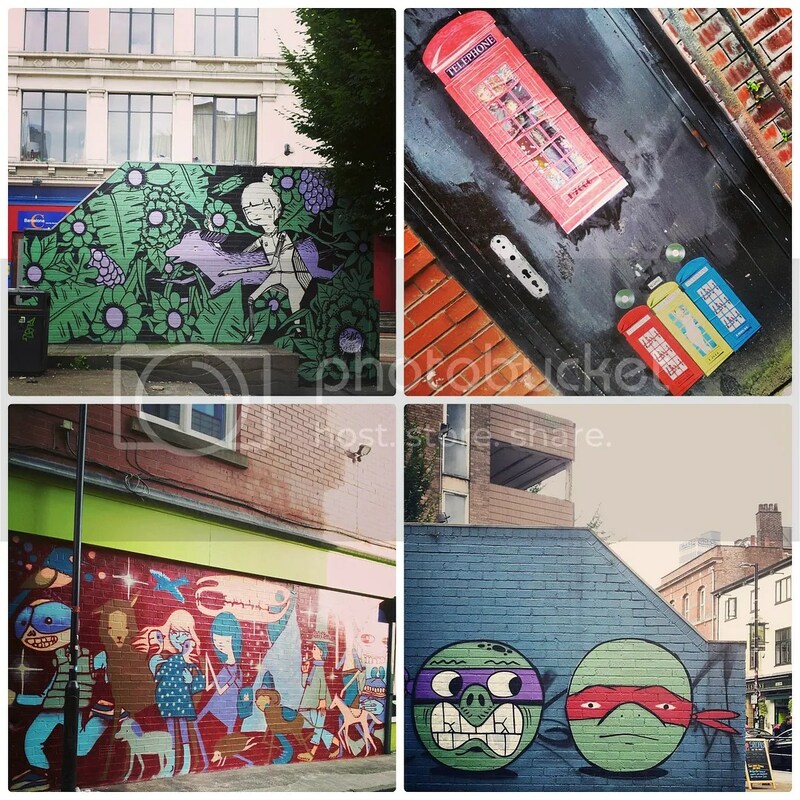 Some of you may look upon these pictures and call it graffiti. I’ll be honest, a year ago I would have too. Now, I look at it as free art, just on a different canvas… an urban canvas. You see, a year ago, I wasn’t with the boy. John is a lover of street art and his passion is infectious. With each new art find, there comes a photograph, a keepsake. In no time at all, the work will be tagged (damaged by graffiti), reworked or, in some cases, demolished. So above, you see my treasures. These are the recent snapshots that I’ve taken with my phone using Instagram. 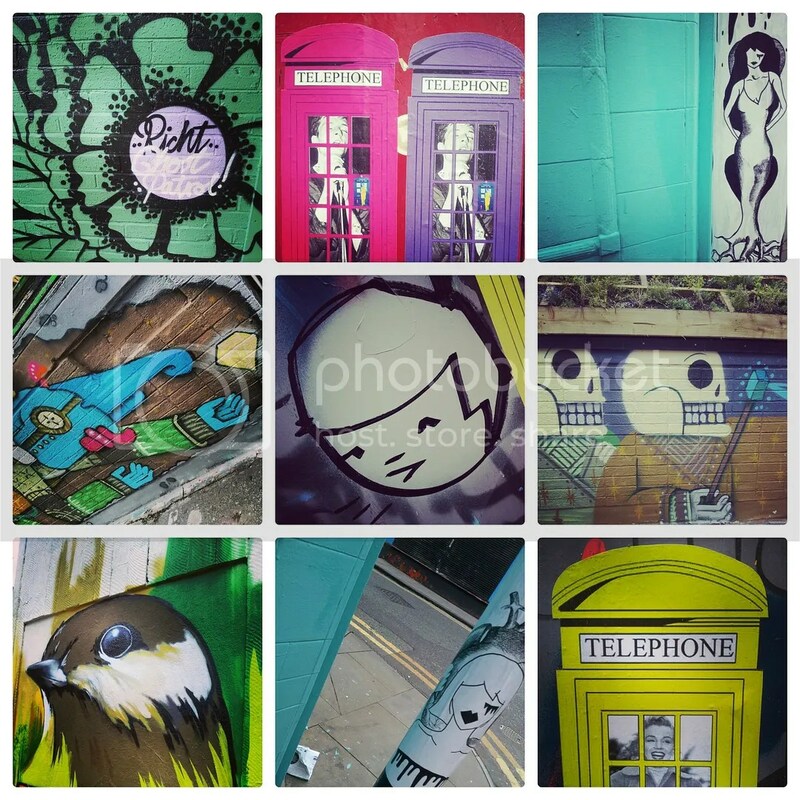 I’m attracted to the bright colours of D7606‘s celebrity phone boxes, the monochromatic paste ups by C3, the childhood memories attached to Ghost Patrol and Richt‘s turtles…the list is endless. During my previous trips to Berlin this year, I’ve snapped many more Instagram shots by artists who have a very different style. The neon colours of Billy and Alex, Little Lucy by El Bocho and JR’s ‘Wrinkles of the City’ are amongst a few of my favourites. Using Instagram pictures to create a photo wall is not a new concept; the internet is homes a wealth of ‘how to’ posts and beautifully styled photographs of finished projects as a constant source of inspiration. For me, my Instagram photographs are a visual diary of what I’ve seen, how I felt and what I wanted to remember. So, it seems logical to want to display them. However, I’m intending to use my Instagram pictures in the kitchen. My kitchen is a galley kitchen, long and thin with white gloss units, wooden work tops and grey walls…a blank canvas. If we discount the idea of creating fridge magnets using a company like StickyGram, I’m left with the conundrum of how to protect printed photographs in a warm and steamy environment. Maybe it’s the teacher in me, but I adore the idea of creating horizontal rows of wire washing lines with bright pegs to clip the photographs on. The practical solution would be to house the photographs in a frame, behind a glass case. Protected, but boring! I’m considering creating a pyramid shape of pictures, or a floor to ceiling vertical strip of photographs. It’s important that it looks effective and well executed, I’ve lived as a student once and pinned photographs in the kitchen (the traditional way, to a cork board). If I have to resort to a frame of photographs, then let it be edged in chevron as a compromise! You’ll notice I’ve posted very few photographs of my home. However, in the upcoming month, I do plan to give you the grand tour. Room by room. Who knows, if my Instagram project goes well…the kitchen could be first! Do you display your Instagram photographs? How do you display them? 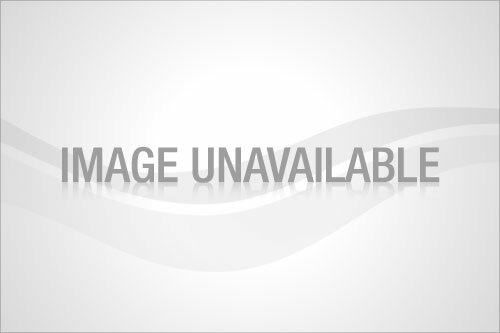 What would be your chosen website to buy from? 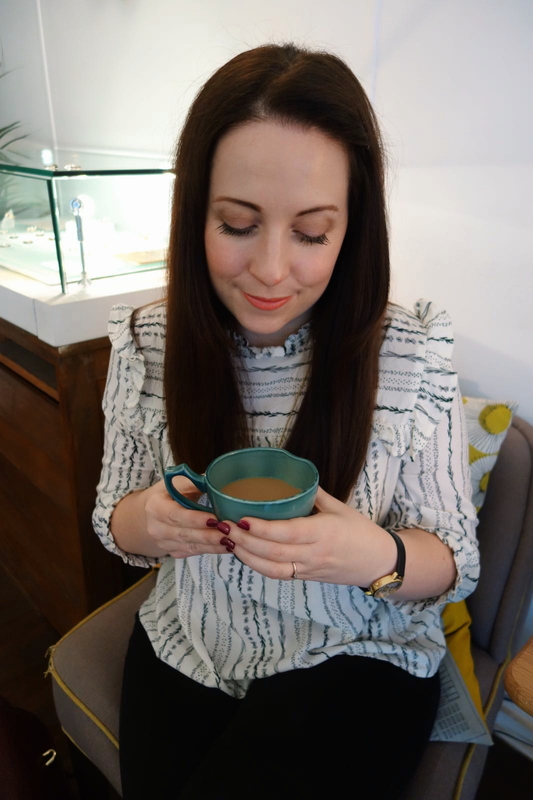 Are you following on Bloglovin?